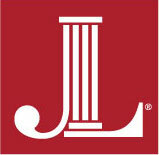 The Junior League of Birmingham has committed 115 volunteers and $59,300 allocated to these causes. Dollar amount does not include Corps of Volunteers. Domestic Violence – Improve the quality, availability, and affordability of educational materials, resources, and services that foster environments free from negligence, violence, and safety hazards. Juvenile Crime – Promote risk-avoiding behavior among youths and/or intervention strategies that reduce the occurrence of juvenile crime. Emergency and Disaster Relief – Provide emergency transitional support to women and children suffering from a disaster or safety crisis, and/or promote intervention strategies, emergency plans, and other efforts that mitigate the damages of women and children suffering from a disaster and/or safety crisis. * Indicates new project for 2018-2019.